Indeed, when shopping for CBD products, you have more than likely come across products that are either labeled either as full-spectrum CBD or CBD isolate. While these terms may sound very similar, they are far from the same. Essentially, these terms are used to describe the type of CBD that is in the product. Most users prefer full-spectrum CBD, and you will see why below. However, CBD isolate also has its benefits and may be preferred by some users. As you may already have figured out, the range of cannabinoid spectrum found in a product is what determines whether a product is full-spectrum CBD or a CBD isolate. So how exactly does this work, you might be wondering? Well, to make a CBD product, the cannabinoid content needs to be extracted from the cannabis plant, using methods like CO2 extraction. During this process, other compounds of the plant are also extracted, including flavonoids, terpenes, and other cannabinoids. Depending on the cannabis strain and classification that is used for extraction, the cannabinoid profile and composition will differ. For example, hemp, which is a classification of Cannabis Sativa, has very little THC, in comparison to Cannabis Indica strains like Pennywise, which has a 1:1 content ratio of CBD and THC. Depending on what end product they are looking for, companies choose to extract from the strains of cannabis that best suit their needs. Once extracted, the company is then able to refine the extract only contain specific cannabinoids and plant parts. The contents of the refined product are what determines if the CBD extract is a full spectrum or an isolate. So… What is Full Spectrum CBD? The cannabis plant is made up of hundreds of different phytochemicals, which includes cannabinoids, terpenes, flavonoids, and a few other compounds. 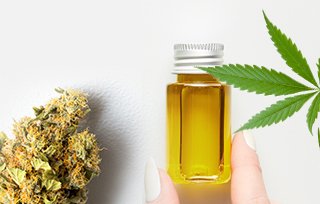 Full spectrum CBD, also known as whole plant CBD, refers to products that don’t only contain CBD but also have traces of other cannabinoids and plant molecules. In other words, full-spectrum CBD contains everything that the plant contains. The entourage effect is the primary reason behind the efficacy of whole plant extracts. There are more than 100 compounds that have been identified in the cannabis plant. While most of these come with their own therapeutic benefits, when they are combined synergistically, they offer far better effects than any one compound could on its own, including CBD. A few years ago, it was believed that CBD isolate (CBD in its purest form) was more effective than full spectrum CBD. However, in 2005, this theory was disproved by a study that was done in Jerusalem by the Lautenberg Center for General Tumor Immunology. The study found that test subjects who were administered full spectrum CBD experienced higher levels of relief when compared to those subjects who were given CBD isolate. The results also showed that full spectrum CBD gave enhanced effects with higher dosages, while the effects of CBD isolate stayed consistent with increased doses. One of the concerns for some people when it comes to full spectrum CBD is that it contains trace amounts of THC, which is the psychoactive compound that is responsible for making users high. However, it’s worth noting that these amounts of THC are so tiny (maximum 0.3%) which significantly reduces the psychoactive risks of full-spectrum CBD. What Conditions is Full Spectrum CBD Best for? 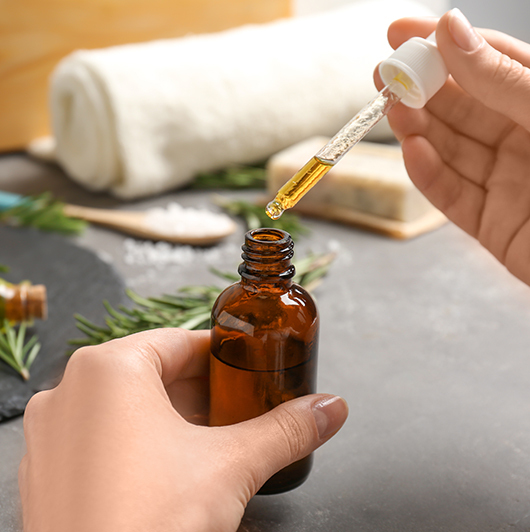 While CBD on its own may be effective for some, whole plant extracts aren’t only thought to provide faster and better relief, but the effects also usually last for longer. This is why an increasing number of companies in the industry are starting to sell full-spectrum CBD. Here are some of the conditions that are best treated with full-spectrum CBD. There are no doubt plenty more, but research on the matter is still very much limited. Chronic pain and inflammation are two of the main reason why people turn to CBD for relief. Studies have found that the synergistic effects of full-spectrum CBD are more effective than an isolate when it comes to the treatment of inflammatory conditions. This is why people with autoimmune diseases and chronic conditions find that full spectrum CBD is overall more effective in relieving the inflammation and pain that they experience. Terpenes alone have incredible potential for human health and shouldn’t be disregarded. The ability of CBD to treat anxiety continues to be supported by an increasing body of research. Each day, new evidence is coming to light, especially from animal studies, helping medical researchers to understand how CBD works in the brain. Research into the matter of CBD and anxiety disorders still continues. However, thus far results have been promising. While THC alone can make anxiety issues worse, CBD is able to counteract the effects of THC, and together they alleviate the symptoms of PTSD, stress, and more. By extracting CBD, THC and other minor compounds, like terpenes, full-spectrum CBD seems to be effective in the management of a few different types of anxiety-related disorders. Marijuana has always been thought to be a treatment option for nausea in the medical world. Since it can stimulate appetite, it may also help with certain eating disorders. The cannabinoids in full spectrum CBD can help with both nausea and vomiting. More specifically, the small amounts of THC that are present in full spectrum CBD can be very beneficial for reducing the symptoms of nausea. THC is able to control nausea and vomiting by stimulating the CB1 receptors in the brain, especially those receptors that are found in the regulatory centers for vomiting and nausea. But, it also stimulates the CB1 receptors found in the gastrointestinal tract, and this helps to reduce intestinal motility. The activation of this receptor is the same thing that helps to improve appetite. CBD helps to control nausea by influencing the serotonin receptors. It also reduces the release of serotonin, so there’s less stimulation of the vomiting center found in the brain. The activation of CB2 receptors can also help to prevent nausea and vomiting. There are many factors that determine how cannabinoids will affect the body, like chemical makeup of the person, the weight of the person, as well as their history with other substances. For many, full-spectrum CBD may be best because it delivers the full benefits of the cannabis plant. But for others, a high-dose of CBD isolate might do the trick. However, there is no doubt that full-spectrum CBD has more health benefits. Forget about painkillers and other forms of prescription drugs; full spectrum CBD appears to be the all-inclusive natural remedy when it comes to attaining good health. Aubree from Ashburn just bough! Lionel from Ashburn just bough! Kyson from Ashburn just bough!